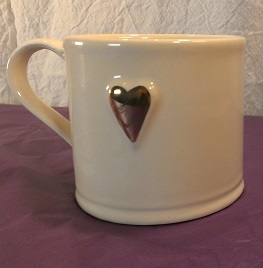 Shaker style 150ml espresso mug with Gold Heart. Beautifully crafted with delicate gold spots inside. Also available in 250 ml size. 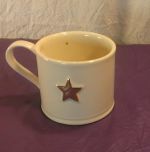 Perfect as a gift with the Gold Star version and an espresso maker! Head to our devices section. 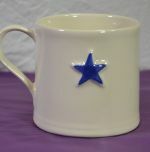 Shaker style 250ml mug with Blue Star. 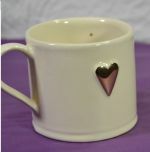 Shaker style 250ml mug Gold Heart.